Escape the city and embark on a wonderful adventure while also training on horse riding. 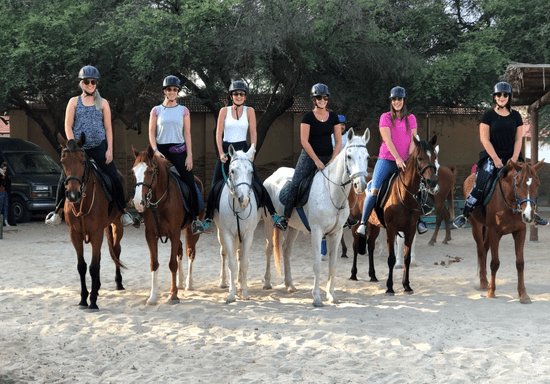 Book your place in these group horse riding lessons and start learning all the basics right up to the advanced riding skills and techniques at the hands of highly qualified coaches. The 45-minutes lessons are suitable for participants of all skill of ability and age groups. They offer you an immersive horse-riding experience in a safe, convenient location while enjoying the spectacular scenery in the magnificent park and mounting beautiful well-trained horses. During your first lesson, your coach will assess your riding ability to place you in the right group with the same level of experience you have. This ensures you receive the proper training and the support you need to ride with confidence. Adults and children have separate sessions, so everyone progresses together. 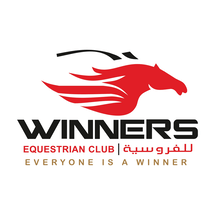 The equestrian club recommends the 25-lessons package for beginner riders to gain full control of the horse and become able to ride safely. The 10-lessons package is good for basic training especially if you have trained before. And you can always opt for the single trial session if you want to get the taste of it before you enroll. "The class was not informative enough. Many details were over looked. And the instructor should demonstrate rather than just have the students ride without any experience of what they’re doing. "